Neha Sharma aka Hungry Dilliwali, currently she is pursuing masters in history from Delhi University and is an avid eater who talks about exploring new cuisines, cultures, and places. For Neha, summer is all about a good sunshine, wearing breezy pastel coloured cotton, ice-creams, hitting the waterpark or the nearest swimming pool and staying hydrated. You will always find her eating watermelons, cantaloupes and mangoes. Watermelon and Feta Salad is her perfect snack during summers and a favourite. And ofcourse sipping on some ice teas and cold coffee. To stay away from the wrath of this season stay away from deep fried or spicy food, hot beverages, and grilled meat. Your metabolism is the best in this season. Her top 3 picks for summer meals in Delhi are Bistro 57 for cold shakes, Fig and Maple, in GK 2 for an array of super light, yet filling and delicious salads along with yummy pancakes and waffles. And, you can’t miss ice cream, head to Movenpick, for some delicious ice-creams and sorbets, the raspberry sorbet is a delight. 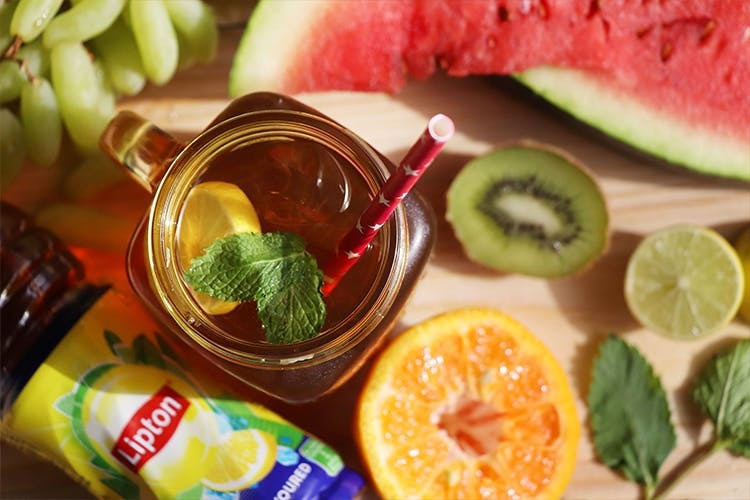 Summers mean, you need to constantly hydrate yourself, and sometimes drinking water feels boring, so infused water and ice teas definitely come to the rescue. Lipton Ice Tea which comes in two flavours her top favourite, widely available and easy to carry along. They are refreshing and so perfect to quench your thirst, it has less sugar, no added colour and flavour and so much healthier than the carbonated soda. Follow her summer food quest on her Instagram handle, right here.